My first meeting with the person who would become my supervisor was a rather surreal experience. I was still doing my MA at the time, and whilst I knew I would be doing my PhD, it seemed very far away in the future. I was also snowed under with dissertation work at the time, and could only really think ahead as far as the end of that project. The night before what was probably ‘Supervision 0.0’, I hadn’t done a great deal of preparation for this meeting, which wasn’t really very official, and hadn’t thought very much about my PhD since hearing I’d gotten the scholarship. I’d just arrived back from three or four days of research and its consequential travel, in London, Epsom Ewell, and Bath, and didn’t get back until 10.30pm after a day on the National Express. I didn’t sleep until gone midnight. The meeting was at 9am the next day. At the time, my supervisor was the Dean of Arts. This meant that, when I first met him, his office was on the fifteenth floor of the Attenborough Tower, accessible only by hundreds of stairs or, for the brave, the paternoster lift. That morning, at quarter to nine, I stood, tired and bruised from the coach, facing the climb up, and the mere prospect of the meeting itself, with more than a touch of vertigo. I’m going to stop my personal narrative there for a moment, and talk more generally about that first supervision. What is useful preparation, and what should you expect, before, during and after the meeting itself? Think about what you’re going to take. You’ll want to record all your supervisions, somehow – will you use audio? your computer?, a notebook and pen? Try and be systematic and consistent with this from the get-go – trust me, it makes looking back a whole lot easier. You should also take a copy of your application proposal, and any notes or ideas you have at this stage. Don’t feel, however, that you have to be comprehensive or constrained, or even inventive at this point: those expectations are for later. But do be willing to be flexible about your ideas: frequently, the thesis people actually produce is distinctly different than that which they proposed. This might sound silly, but you might want to consider your clothing. Whilst your supervisions won’t be terribly formal occasions – at least, mine weren’t – you will want to make a decent first impression. So be smart, but remember that your supervisor will probably see you slumped over a keyboard in a hoodie and ratty jeans at some point. That’s ok: this person may well see a very vulnerable version of you. It’s a good idea to know something of that person before you go in. Then there will be a semi-known variable. Think particularly about what they research and how they might affect or contribute to your project. And as far as I’m concerned, it’s ok to talk to your supervisor’s existing tutees about the kind of mentor they are, and what they expect from their students. Should you be nervous? There’s no ‘should’ about how you feel. You’ll probably be at least a little apprehensive though, and that’s perfectly okay. After all, you’re meeting someone who will expect things from you – good things – and whose respect you will need to earn. A little humility is good, in that regard. But don’t be too terrified – supervisors are human too, and they also have to earn your respect. This meeting might well involve a lot of talking. Be prepared to be questioned a lot, particularly about why you want to do a PhD in general, and why this one specifically. You’ll also be asked what you think it’s about. I was, at least. This isn’t a trick question – it’s so that the person who will be your academic guardian for the next few years understands the foundations, origins and full histories of your work. Only then can they help you. But you might also find it useful to ask some questions of them, too. What interest do they have in your project, why do they think they were assigned to you, what do they expect from you as their student? Then, more generally, you might want to talk to them about personal development and training plans offered by the university, and about a more solid timetable in terms of actual goals that need to be met over the next few years, such as the annual review. Having clear targets at the start of a PhD can be comforting, when you’re still floundering in a sea of research and literature. Expectations and actuality. This is not the meeting where you’ll sort everything out. Be prepared to be sent away with a list of things to achieve, or a list of books to read. 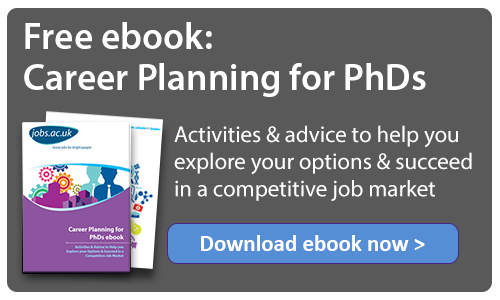 But you probably won’t be sent away with a precise timetable or knowledge of exactly how your research is going to pan out – that’s a highly emergent factor. Don’t be afraid of this – or, if you are, don’t let that cripple you. Treat it as an opportunity to play. So, how did my first supervision end? I seem to remember that we giggled, me because I was overtired, scared and a little confused, and my supervisor - I think - because he so well understood my state of mind. I left that meeting with very little idea of what was yet to come – but very much looking forward to that unknown.